Create an eclectic outdoor dining experience with A-Grade teak Como dining chairs and raw 63″ square concrete table that can seat up to 8 people. 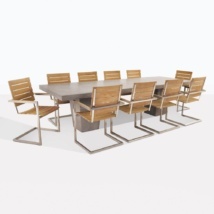 Combining the elegance of teak with the rough glamor of concrete, this is a set that makes an impact in any space! Have a large verandah overlooking the ocean? Need to fill the space so you may enjoy evening drinks and hor d’oeuvres with friends before settling in for a long meal? Featuring our Raw Concrete Dining Table 63” – popular because of its chunky, stylish and contemporary appearance, the substantial square size is perfect for grand lunches and dinners, allowing for enough space to place huge platters full of your favorite dishes! 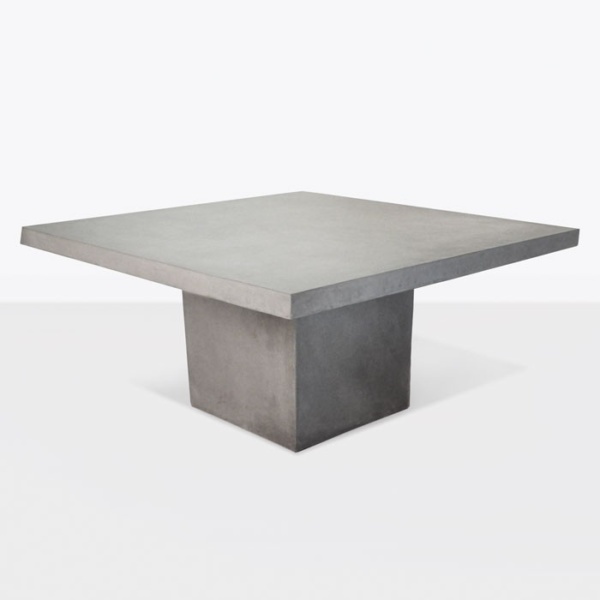 Our raw concrete items are made of composition concrete, resin and fiberglass; our raw concrete looks and wears like concrete but without the heaviness and with the knowledge that it will stand the test of time! 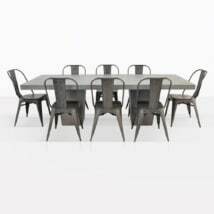 The Como Side Chairs are our most popular folding chair! Both light and airy and fold up for easy storage, these are a style that you can sit in for hours due to the comfortable, ergonomic design with an elegant curve in both the seat and back. 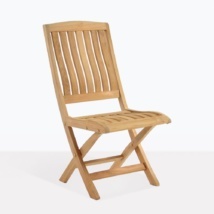 Available with Arms as well as the Side pictures, our Como Chairs are constructed from A-Grade Teak, ensuring you get a gorgeous, long lasting product. 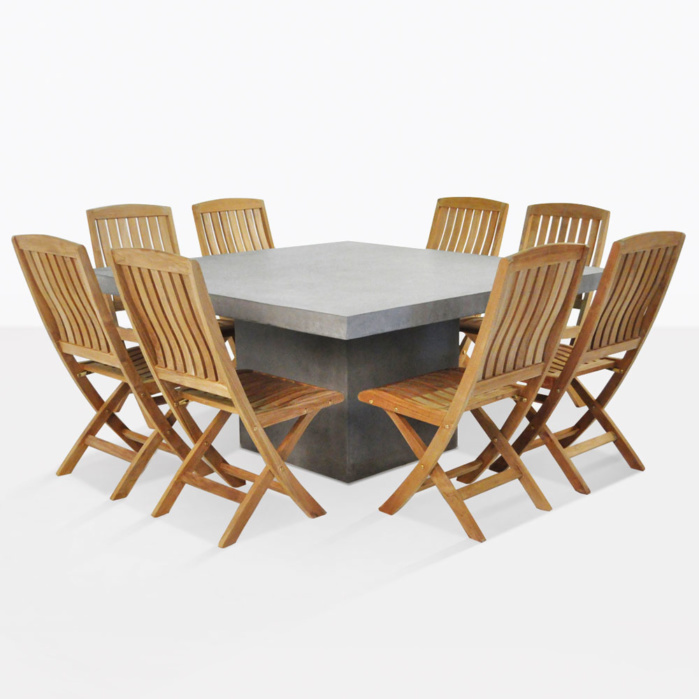 The staff at Teak Warehouse are in store 7 days a week to help with configuring the best outdoor setting to suit your space! Call our 1-800 number now!